I carry my iPad around naked, that means no cases, no covers, no stands, just the iPad. But what if you’re on the go and quickly need an iPad stand? I was recently in this situation and discovered several different methods to concoct quick and dirty iPad stands for free using common items. 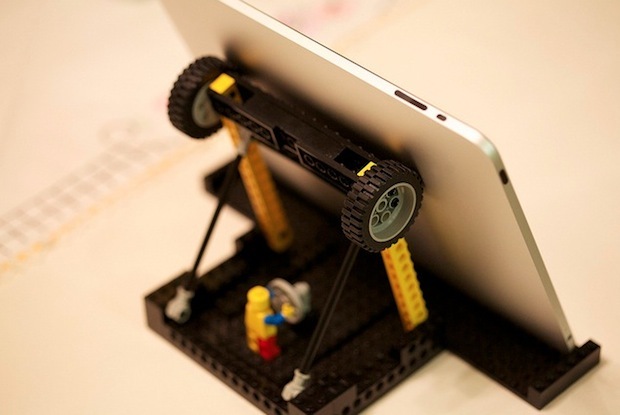 If you’re ever in a dire need of a quick and dirty iPad stand, that’s what we’re here to help you with. So I picked the four best choices based on the likelihood of encountering the required materials for the instant DIY iPad stand, you won’t win any design awards here, but if you’re in a pinch you should find one that works for you. The DVD case is my preferred method and looks the most reasonable, and it finally provided a use for a friends 10 year old Blockbuster DVD that was never returned. You won’t always have access to DVD cases though, and in that case, method two or three may be a better fit. Wire coat hangers are ubiquitous and you should be able to find one in nearly any household or hotel room, making this a reasonable albeit flimsier option for those in dire need of a quick iPad stand. It’s ugly but is actually quite supportive, though the iPad may slide around a bit on the wire frame. Watch the video below beforehand, it’s not complicated but it’ll prevent you from wasting a hanger or two trying to figure it out on your own. I’ve used this multiple times and it works really well in a pinch, even if it does look quite silly and rather low-rent. 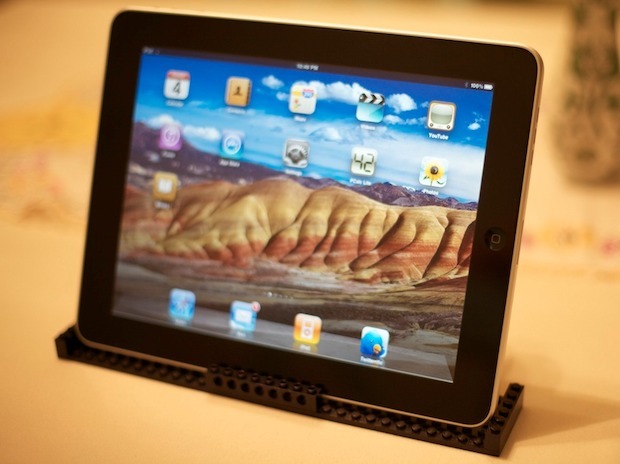 If you’re visiting somewhere with a kid (or kid at heart) who plays with Legos, you can build a quick iPad stand out of Lego blocks. There’s no video instructions but you’ll find a fully configured stand on Flickr that’s fairly easy to follow to base your own from. This is obviously the most time consuming of the three options, but it gives you a great excuse to play with Legos so that’s a plus, right? Fruit like a banana or an orange work as stands in a pinch. Yes seriously, edible fruit! Just make sure it’s not peeled yet, but an orange or banana with their somewhat grippy surfaces work surprisingly well as an iPad stand. 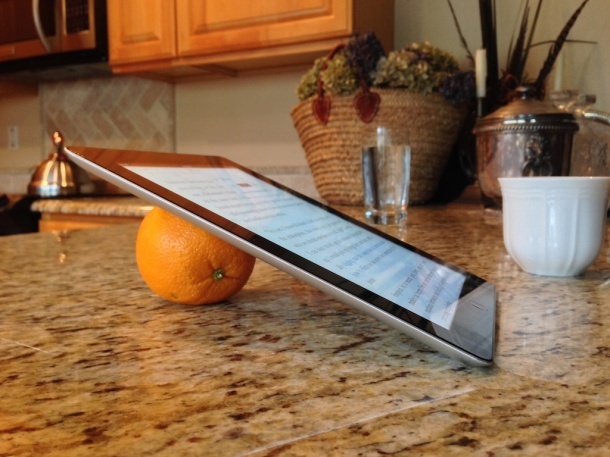 If you’re going to be using an iPad in the kitchen anyway, something like an orange can be immediately effective. Try it out! Or… well, you could also try out the mini-plunger stand we jokingly posted on April Fools, some of the commenters claim it actually works well. And at the very least it’ll get a laugh or many. I prefer my Macbook Air, it comes with a stand. I recommend the Smart Cover for a basic stand, it is minimalist and simple. Ergo makes a good stand too, though it is not as mobile. Personal pet peeve: it is lego bricks not LegoS or LegoZ! This coat hangar option saved my day. Thanks! Why is the dvd video private?